Dubai Duty Free Ambassador Caroline Wozniacki takes a break from her practice to show her fans around the grounds of the Dubai Duty Free Tennis Championships. Caroline Wozniacki works out in the player gym of the Aviation Club. Dubai Duty Free Ambassador and former world number 1 Caroline Wozniacki took a break from her practice sessions to visit the Burj Khalifa – the world’s tallest building and one of her favourite spots in Dubai. Caroline also spent some time showing her fans around Jumeirah Creekside Hotel and all the facilities available for players on-site including the Aviation Club, the gym, her pamper spot – ‘Top Style’ and a tour of the Dubai Duty Free Tennis Stadium and Centre Court from a player’s perspective. 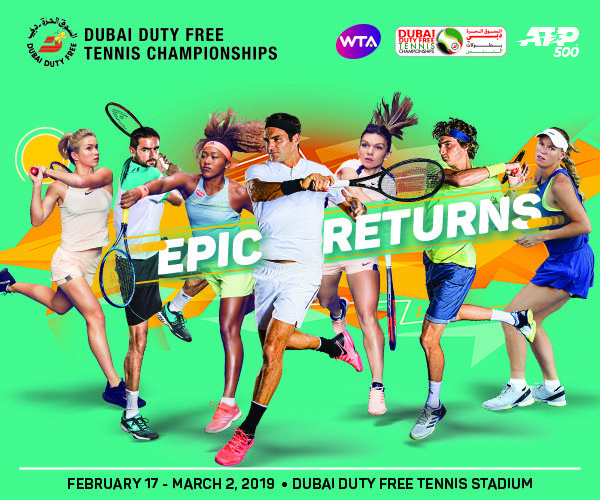 Caroline isn’t a stranger to Dubai, she picked up the trophy at the Dubai Duty Free Tennis Championships in 2011 and continues in her role as a valued Dubai Duty Free Player Ambassador for the seventh year.